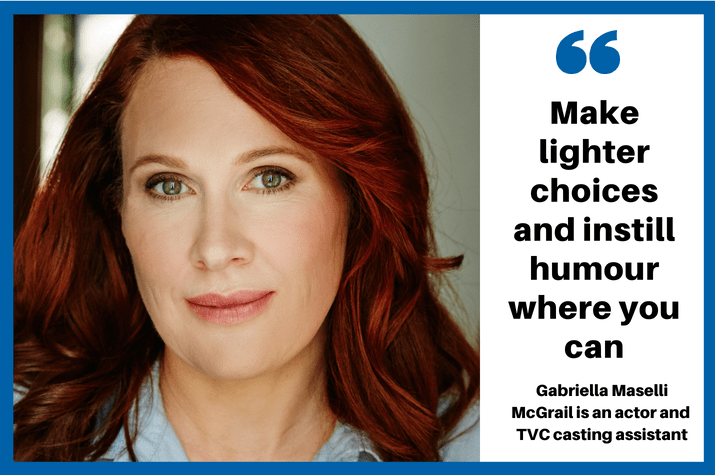 With more than a decade of experience working in casting, Gabriella Maselli McGrail is well-placed to offer advice about the best way to approach a TVC audition. She asked two veteran CDs to kick off her top 10 tips for ad castings. 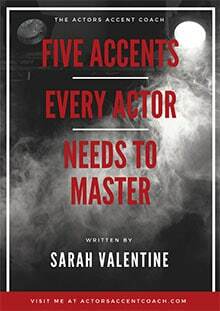 Gabriella Maselli McGrail is an actor, voiceover artist, acting and public-speaking coach, freelance TVC casting assistant and author of Transform Your Ad Audition! 1. Do voice exercises in the car (or bus!) on the way in, then you can be subtle and underplay, without worrying about enunciation. 2. Read your emails carefully and look for attachments. I’m surprised how many actors turn up not having even read the script, let alone know what role they’re playing. 3. Don’t let the waiting room fluster you. “OMG, she’s so perfect for the role! Oh, he’s from that TV show! Oh, wow, is she friends with the casting director?” None of this means they are going to do a more interesting interpretation of the role than you, or a better performance. They may not even be auditioning for the same role. You can’t possibly guess the outcome and you can’t control it – you can only control your performance, so stay focused on that. 4. Pick up on the character’s energy. Make yourself fit the type of person they are briefing. Bring yourself to the role, but make any adjustments and suggestions in your appearance and behaviour that blends the role. Consider the socioeconomics, occupation, style and relationships. What works for this advertising story? 5. Think more conservatively in the way you present yourself. Make lighter choices and instill humour where you can. For example, if “your child has spilt paint on the new carpet”, you can reprimand in a positive way, not turn into Darth Vader, as it’s likely that the product offers the solution. 6. Be flexible. Prepare a couple of choices and try to give them a go in the brief casting. Maybe a redirection fixes the first choice, then you can ask for a third take, with a new slant on the interaction, or a reaction, speed, rhythm, timing, action. Listen to the director in recalls; don’t glaze over and nod, or interrupt. The director needs to put it all together to pitch you to the client. 7. Give life to the ad by embellishing the scene, without changing the story. A commercial script is written economically. If the writers filled in sentence after sentence with actions and blocking and thoughts and feelings, then it would become an essay, and that leaves no room for an actor or director to have creative input. 8. Rehearse ideas for the moment before and after; even throw in a tag. Camera will keep rolling, and the on-set director might need you to hold that thought, continue with a response. 9. Connect to the product being advertised, whether it is something they talk about, handle or consume. Any interaction with, or reference to, the product necessitates genuine enthusiasm and joy. Use your imagination by picturing the item there and imbue it with something that is meaningful to you, instead of holding it limply or disconnectedly. If it is a consumable, whether you really do drink or eat or just mime, relish the taste – maybe read the packet and smile at it or, because of it, spoon or sip delicately. 10. Refine camera technique. Plot eyelines; place your thoughts and reactions advantageously towards camera. Get used to holding the product firmly, with the label towards the camera, in a natural way. Actually practice the details involved in miming the driving of a car, looking at the road/passengers/children in the back seat, rear view mirror, whilst keeping your performance towards the camera. Determine your blocking in the compressed space.